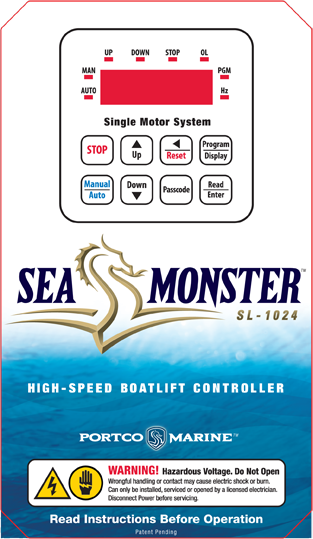 Up to twice as fast as any other single-motor boatlift control on the market, the SeaMonster 1024 SL and 1027 SL offer revolutionary new technology that makes the drive much faster, much smoother, and much easier to customize. The box and all of it’s components are industrial grade, the highest quality on the market, so not only is it extremely fast, it’s remarkably durable. It’ll make you wonder what everybody else is waiting for. To be part of the next generation of boatlifts, you’ll need to act fast.